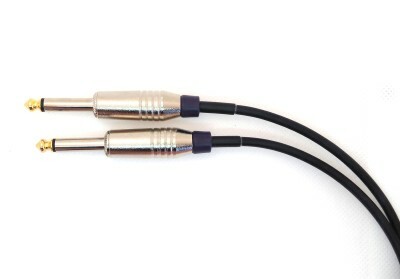 SoundGuy.co.nz Guitar / Ukulele / Instrument Cable with select robust 1/4" plugs. This is ideal for light weight instruments such as ukulele, violin etc. where the weight of a standard guitar cable can interfere with comfort of playing. Standard length is 1m. Price will adjust automatically when you select a different length. 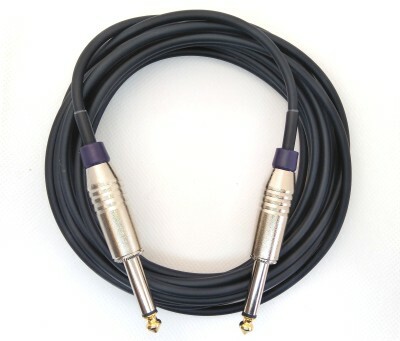 Miniature size 4mm OD, 22 AWG version of GS-6 used in our SoundGuy.co.nz Pro Guitar / Instrument Cable. Good choice for short run unbalanced audio interconnects and general instrument cables. 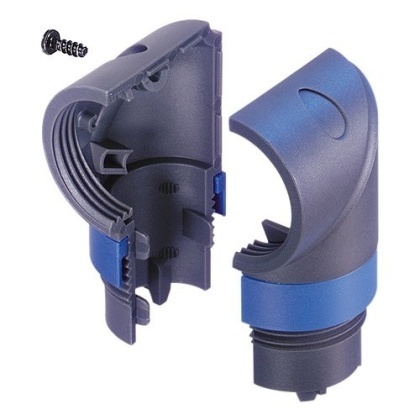 It uses braided outer shield and is very robust. Lighter cable makes it great for smaller instruments like ukulele, violin, etc. It can also coil up tighter than a regular cable, making it an excellent high quality spare to tuck in a small case pouch. Ideal for smaller instruments such as ukulele, violin etc. Sealed joints inside plug for long lasting reliability. Takes up less space in small instrument case pouches. Easy to carry a high quality spare in your guitar case.